Welcome to my second post on knee pain. 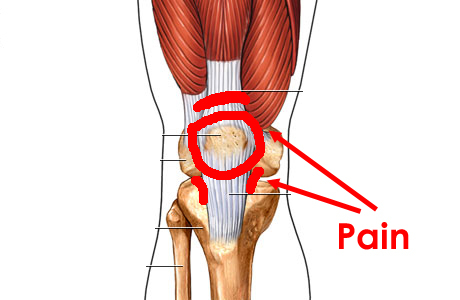 I’m going to give a low down on my experience and the recent evidence around patellofemoral pain and give you some exercises to get you working those muscles right. Read on to find out more…..
Patellofemoral pain (PFP) is a common knee complaint particularly in runners. Pain tends to be located around or under the patella and usually occurs as a result of an increase in activity and load. A popular term amongst medical practitioners when explaining what is happening to the patella is patella maltracking. Patella maltracking is when the patella does not align correctly in the femoral groove, being subjected to variety of glides including translation, spin and tilt. Bio-mechanics is a large contributor of PFP and the recent evidence on conservative management on PFP is a mixed bag of goodies with evidence around a multi-modal approach to address bio-mechanics and function. This includes patella mobilisations, taping techniques, quadriceps strengthening and hip strengthening (reference, reference, reference), with some evidence around orthotics and acupuncture. Manual Therapy and taping cannot be considered as an effective treatment for resolution of symptoms long term, however that doesn’t mean I don’t use them in my clinical practice. However I hasten to add that ultimately passive therapy approaches in isolation are mainly a nocebo. Education, reassurance and graded exercise I have found to be as beneficial if not more. Most of our passive treatments are aimed at reducing pain. There are lots of descending inhibitory effects that occur when we touch someone even more when you are educating and reassuring. As part of this post I’ll cover the highlighted approaches. The patellofemoral joint consists of the patella articulating with the femur in the femoral groove. It is a floating bone with up to 7 facets on its under surface so that it can articulate correctly in the femoral groove. The patella is embedded in the patella tendon and is supported by passive structures including the medial patella femoral ligament, which is said to be the most important passive restraint for the patella (reference). It is influenced by active structures such as the ITB, hamstrings, calf and Vastus Medialis Oblique. Currently the research shows a lack of structural cause of PFP. Pain tends to present as diffuse sensation around the knee compared to a pathology such as patella tendinopathy which is more identified as a localized pain (reference). 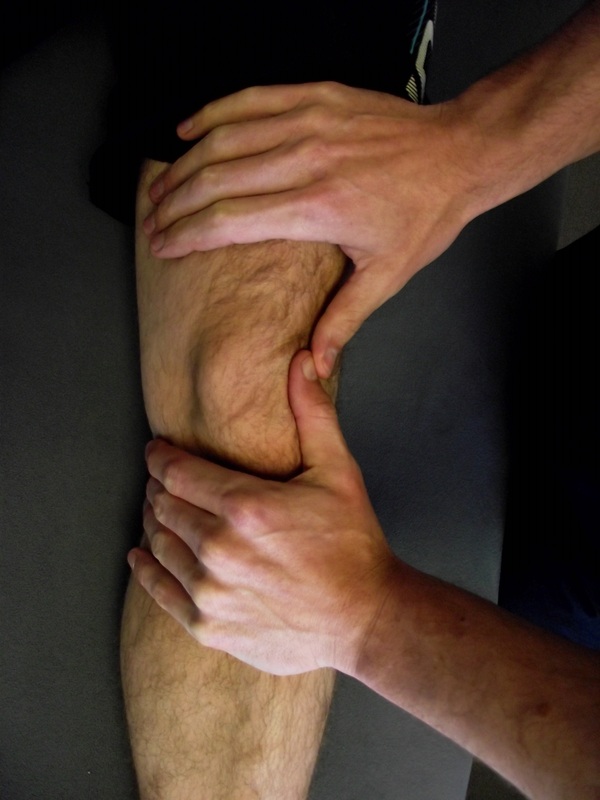 PFP is a syndrome, therefore we are unsure of an exact tissue based driver for pain as the knee has several structures around it such as nerves, connective tissue (lateral retinaculum, ITB), medial and lateral plicae, ligament, bursa and cartilage. What is evident is the infrapatellar fatpad or synovitis (inflammation of the synovial capsule) have been shown to be nociceptive drivers. Researchers are identifying that the bone could be a main nociceptive driver to PFP as bone is highly innervated. However with persistent pain states we have to consider the role of the nervous system and the associated biological changes in the CNS if experiencing long-term PFP. The knee forms a chain between the hip and foot and it is common to find hip abduction and internal rotation deficits and foot mechanics as a major cause, highlighting the complexity of treating PFP (reference, reference, reference). It is also understood that female runners have a higher risk of developing PFP due to pelvic morphology (reference). If we consider biomechanics as a whole in the knee we could approach it top down or bottom up. Meaning we need to consider what is happening in the foot and how it affects the knee and/or what is happening in the hip and how it affects the knee. A recent study has identified that PFP may actually be a cause of hip abduction weakness not the other way around which was first understood (reference). A weakness in one link in the chain will make another link work harder or be subjected to more stress. So best to look at the whole picture. PFP is aggravated by high load activities to the patella including, kneeling, lunging, squatting, jumping, going downstairs and down hill and…..yep you guessed it running! Sitting for long periods may increase discomfort and the knee may also feel stiff. These are common complaints in patella tendinopathy too, so it is best to to see a medical professional who is skilled in differential diagnosis. A defining feature is clicking or creaking/grinding under the knee which you may hear or feel. Let’s take a runner for example looking at the whole movement is fundamental, ideally the runner on a treadmill is best so as to look at the running gait from every angle (front, back left and right sides) with focus on the foot, knee, hip, trunk and upper body movement. In order to get an idea of what is going on I find it is much better to get the individual to perform the activity (if possible) that reproduces their symptoms. How much control is at the hip/knee and foot? Is the individual able to maintain pelvic control whilst on one leg? Is there any rotation (Internal/external) of the leg about the body or the body about the hip both in the weight-bearing and non weight-bearing phases of the running gait? What compensations are made? What happens to the knee in the weight-bearing and non-weight bearing position? What happens to the foot? Where do they strike? How do they strike? What’s the stride length like? How do they push-off? Also looking at the overall picture – How does the patient look? How do they feel? Do they fatigue? etc. There are several variables involved and assessing them and others develop a better picture to guide treatment. The knee is a sesamoid bone suspended above the femur bone embedded within the patella tendon. I mentioned patella maltracking earlier which can occur as a result of trauma, instability, muscle imbalance, biomechanics and how tissue structures can affect the orientation of the patella. Patella mobilisation (although a latent effect) is one way of trying to settle pain and decrease tissue tightness commonly from the ITB, through descending inhibition. 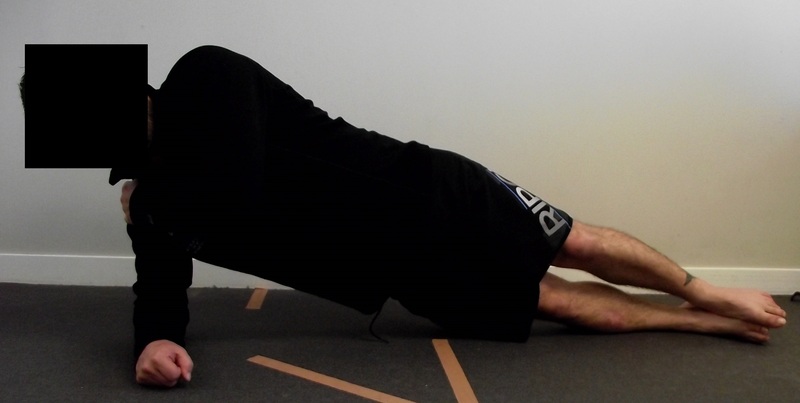 Check out my post on foam rolling here for info on foam rolling and how to foam roll your ITB. I use patella mobilisation in clinic an example is shown below. 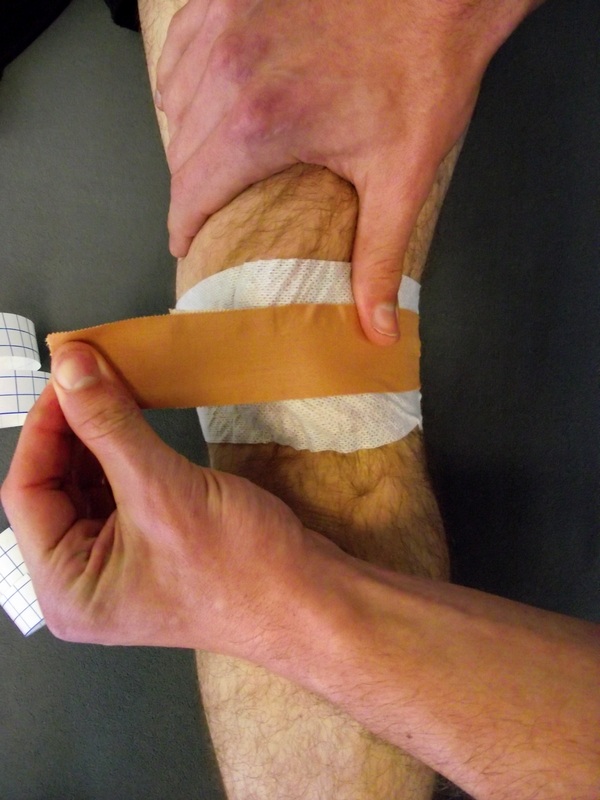 The use of taping for knee pain has conflicting evidence on its effectiveness on pain and function. Saying that it can help to reduce pain and improve function in the short-term. (reference, reference, reference ) Patella taping is used historically for patellar tracking issues in an attempt to try to realign the patella in the patella groove. 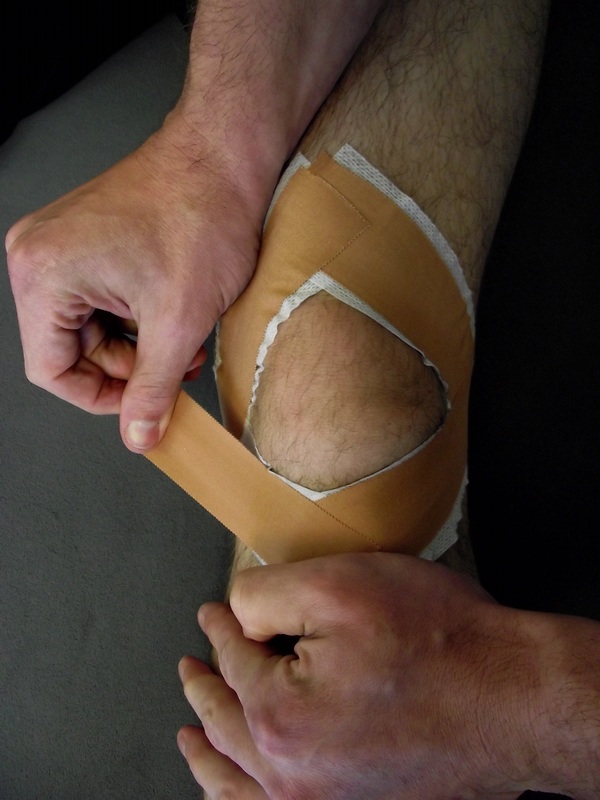 A recent systematic review on the use of patella taping found moderate evidence to support the use of tailored patella taping techniques for PFP (reference). I use patella taping quite a bit in clinical practice with mixed results. I always educate my patients about the latency of patella taping and teach them how to tape their knee themselves to reinforce the existing tape. Check out the images below for two examples of tapes that I use in clinic. So what might I do in terms of treatment? Well this depends on my findings. Strengthening the quadriceps muscle group is an important component of a rehabilitation program as pain can cause inhibition of muscle. (reference, reference). There has been a lot interest and study around the VMO (vastus medialis oblique) as it is believed that the oblique part of the muscle is thought to influence the tracking of the patella (reference). However there is conflicting evidence suggesting that a general quad training program will also improve symptoms of PFP (reference, reference). A mix of open kinetic chain (OKC) (no contact with a stable surface i.e. leg extension) and closed kinetic chain (CKC) (contact with a stable surface i.e. squat) exercises can be used to strengthen the quadriceps muscle group. The evidence supports the use of CKC exercise as a preferred strengthening approach for PFP (reference). Strengthening the all important hip muscles also help to control what happens at the knee and the evidence has highlighted that doing glute medius exercises can help in the management of PFP. (reference, reference) Yet a recent study suggests that PFP actually causes hip abduction strength deficits (reference). So doing glute exercises is a pretty big deal. 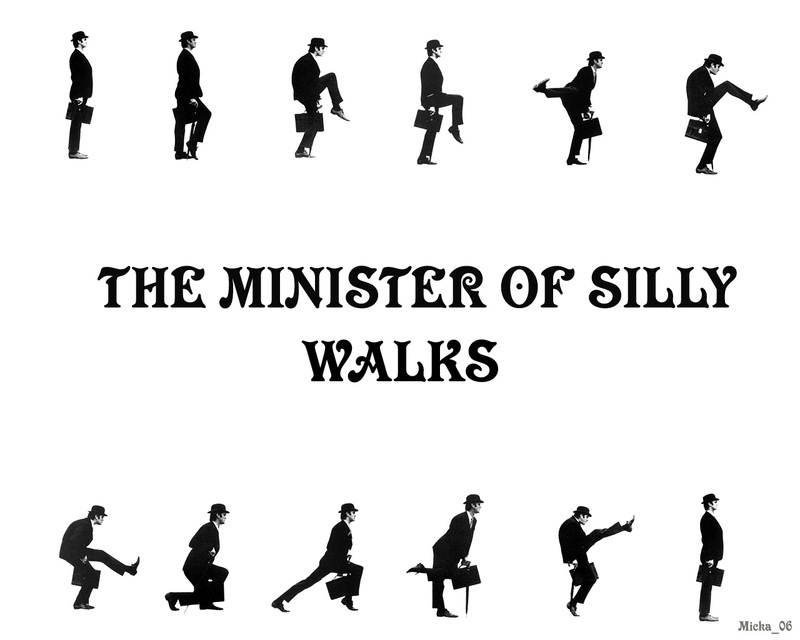 Having done all the reading for you I can say there are heaps of exercises for your glutes all weird and wonderful, reminiscent of the classic silly walk sketch. Ha you didn’t think I was going to teach you how to walk like the ministry of silly walks! Instead I’ve selected a few exercises that I think are helpful for retraining those important gluteal muscles. Start: Lie on your back, knees bent hand flat on the floor. Points: make sure your pelvis stays level, no twisting or rotating the supporting hip. 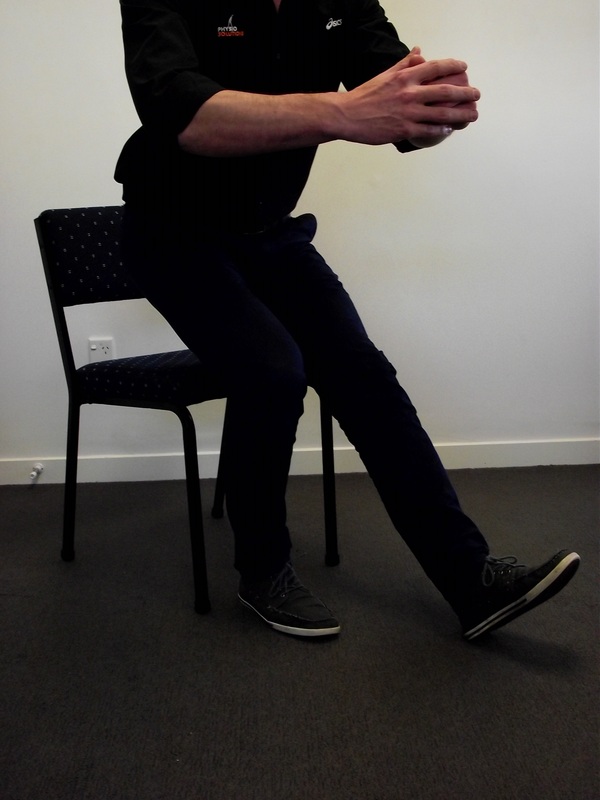 Start: Stand in front of a chair, place non-weightbearing leg out in front of you. Action: Side step and squat at the same time whilst moving left or right. Control the trailing leg as you come back to a standing position. Step 5 times to the left and then 5 times to the right. Points: make sure you stay in a semi-squat position at all times and that your knees don’t roll inwards. The foot is the part of the body that contacts the ground when we run and is responsible for receiving and delivering ground action/reaction forces. Therefore the foot needs to be able to provide support to the chain in the contact phases of the running gait. Poor muscle endurance in the foot intrinsics can affect your running gait and ultimately the kinetic chain (reference). Lots of us go to podiatrists to get insoles in our shoes, I support the premise of insoles but they are still a passive restraint. There is nothing active about placing your foot onto an insole to help your foot position (reference). So whilst in a weight-bearing position encouraging conscious activity of the foot to complement the chain is another component I focus on in rehab. As previously mentioned running is related to biomechanics, muscle strength and motor control. So although it is important to improve these having your running gait assessed is also important. Fortunately for me I work closely with Podiatrists so two clinical heads are better than one!! Here’s a quick tip that you can do: Listen and feel how you are striking, loading and pushing off your affected leg. Does it feel or sound heavy? Do you have to work harder on that leg? Do you fatigue quickly? If so try reducing your stride length meaning you increase your step rate. 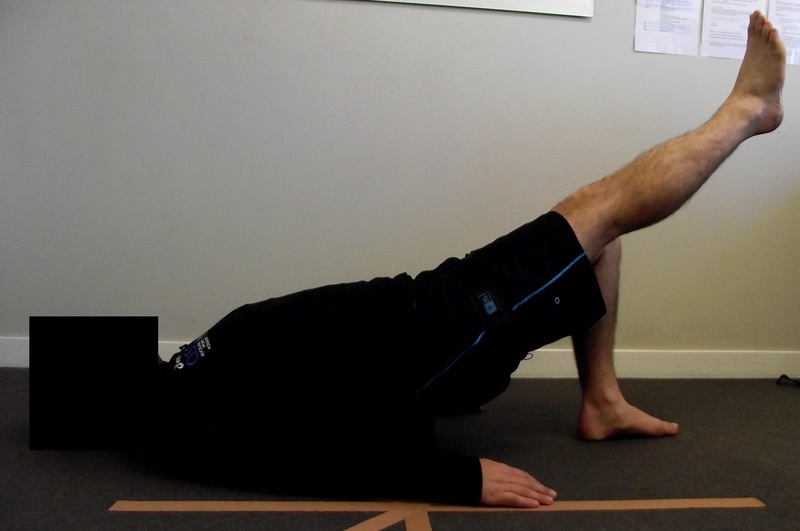 This should decrease the load on the knee and should help to reduce the discomfort of PFP. However that is not a reason to avoid getting your knee checked out! There are other areas such as the trunk and spine that I would look at but addressing the chain is my main goal. Exercising muscles (that make up the chain) in isolation is important but not much good if you can’t bring it all together and put them into your functional activity, i.e. running. So there’s my post on patellofemoral pain, despite the mixed research surrounding this complex joint the accepted approach is multi-modal, a combination of management techniques, including foot orthoses and acupuncture but remember to throw a good chat in there around education and always always exercise. Do you have anything to add any comments or opinions? Post them up in the comments section. Great post, Paul. Thanks a lot. Hi and thanks for the feedback! Yup my typographical error I’ll have a read and make the correction.